Why not buy a t-shirt that expresses your feelings instead? It’s cheaper too. Order Your Guitar Niche Rock Tee Today! 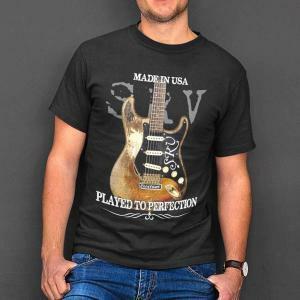 This awesome soft-style guitar t-shirt is created for maximum comfort, combined with the latest cuts to make for an ultra-comfortable, yet modern t-shirt. The rolled shoulder gives it a better fit, and the double-stitched hems make it long-lasting. This is a 100% cotton jersey knit shirt and should definitely have a spot in your closet! 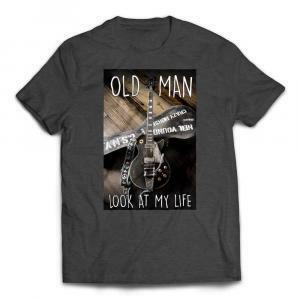 Inspired by Neil Young’s trusty ’53 Les Paul “Old Black”, this tee conjures up memories of a thousand road worn stories just waiting to be told. From it’s blaring “Cinnamon Girl” growls to the instrument’s sweet “Heart Of Gold” heritage, you can only imagine what magic it would speak in your own hands. Order yours today, select your size, color, and add it to your cart. If you’re a fan of iconic tunes combined with epic storytelling, this is your shirt. Makes a wonderful gift for Neil Young guitar playing fans! 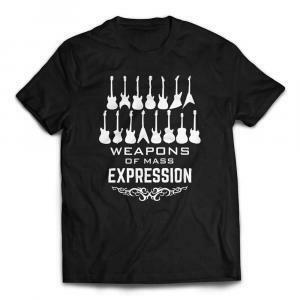 Your machine may kill fascists, or it may arm the homeless, either way… being a guitar player means you wield a weapon of incredible mass expression. Use it wisely, use it for peace. As if you weren’t awesome enough already, playing your guitar makes you that much more… awesomer! Wear your guitar, and this excellent t-shirt, with confidence and sonic pride. Rocking all the way to the cemetery. A series of four chords that says it all – Play Rock Guitar ‘Til You’re DEAD T-Shirt! Save save save, except on style. As plain as it may be, this custom guitar tee makes a statement about being frugal. 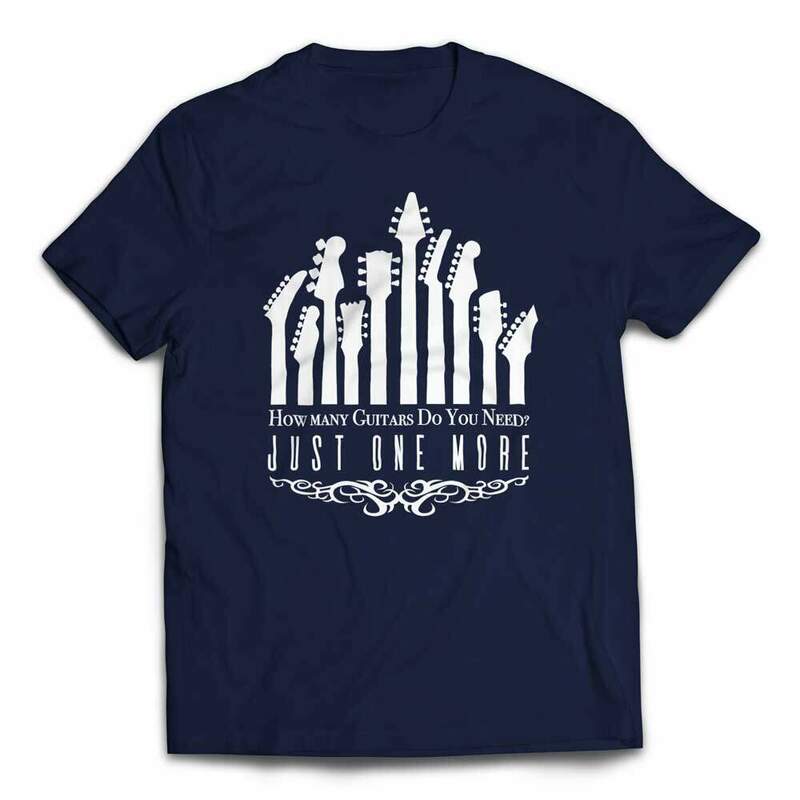 Just don’t cheap out on your favorite guitar apparel. Makes a great affordable gift! This unique custom design tee is not found in any other stores. Enjoy this cool retro styled guitar t-shirt for your very own – or share it with a friend! Makes a great gift for any guitar player who appreciates the instrument. 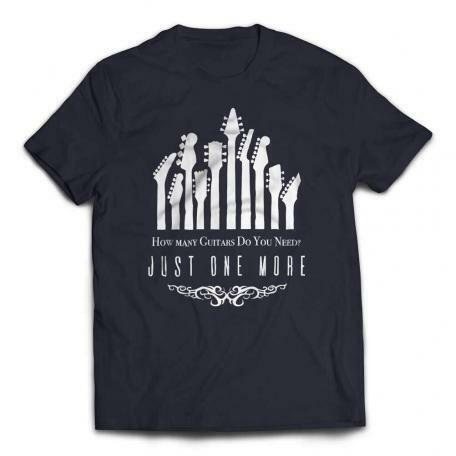 If you love Stratocaster guitars, then you’ll love this custom designed guitar t-shirt paying tribute to one of the most classic guitars to ever rip a tune in rock. From clean chiming tones to the utmost heavy rumble, the Strat has covered it all. Makes a great gift for all guitar players! You’ve seen it in your Instagram feed – #guitar. Stay up to date and share you appreciation for all things guitar in the social universe with this custom guitar tee.